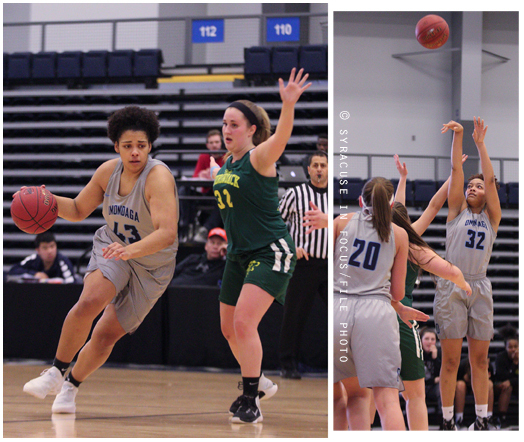 The SUNY-OCC Women’s team defeated Columbia Green Community College Sunday 97-80. Sophomores Sam Britton (left) and Sydni Euri combined for 51 points, 24 rebounds, five steals and three assists. The team’s record improved to 26-6. Soon they will travel to Rockford, IL for the NJCAA Div. II Championship. 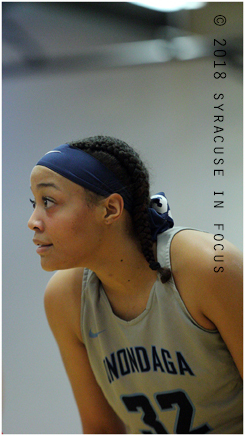 Britton became the school’s all-time leading women’s scorer this season. 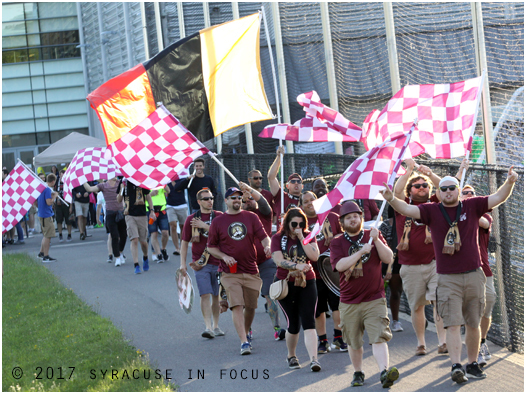 Syracuse FC took 8 shots on goal last night against FC Buffalo. Two of them, one by Jacob Kohlbrenner (pictured), and another by Nate Bourdeau found the back of the net. After tonight’s win, Syracuse will host Erie on Saturday. 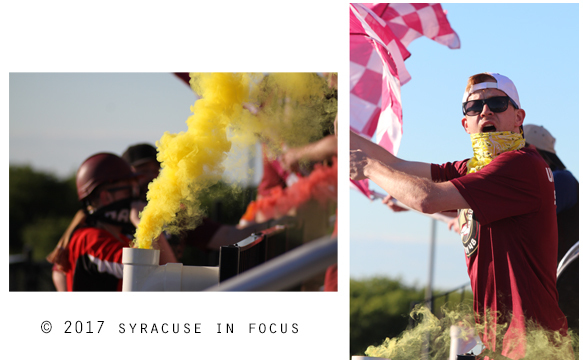 Signs of Victory: This week the yellow smoke and red checkered flag signaled victory for Syracuse FC. The team picked up the first win of the season by beating Dayton 1-0. 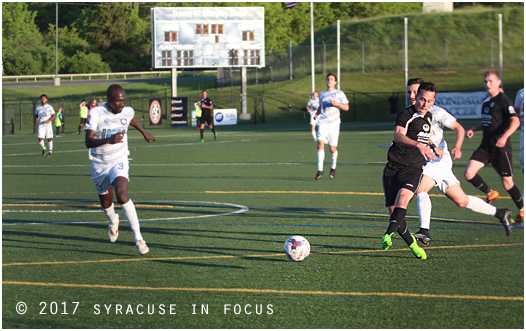 Syracuse FC’s Nate Bourdeau scored a goal in the first half of today’s game. 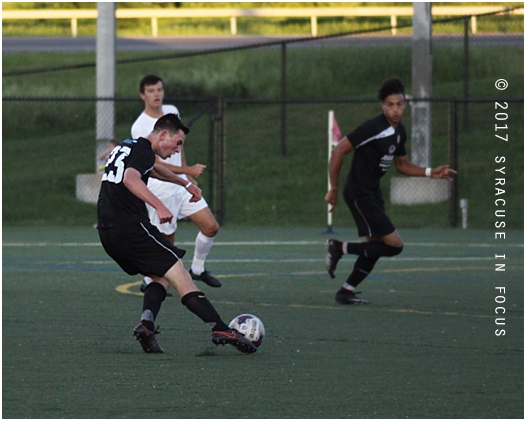 It ended up being the difference in the 1-0 win against the Dayton Dynamo. It was the club’s first win. They lost to Dayton last week. Rochester’s Shemere Elliott carved out some serious space in the box and got a bucket during a game before the semester break. 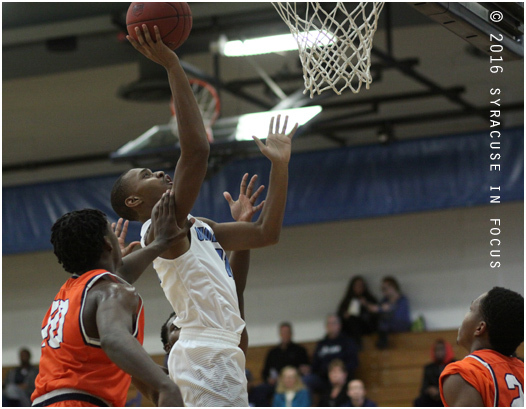 OCC was recently ranked #1 in a weekly NJCAA Div. 3 poll.